This work is licensed under the Creative Commons Attribution 4.0 International (CC BY 4.0) License. 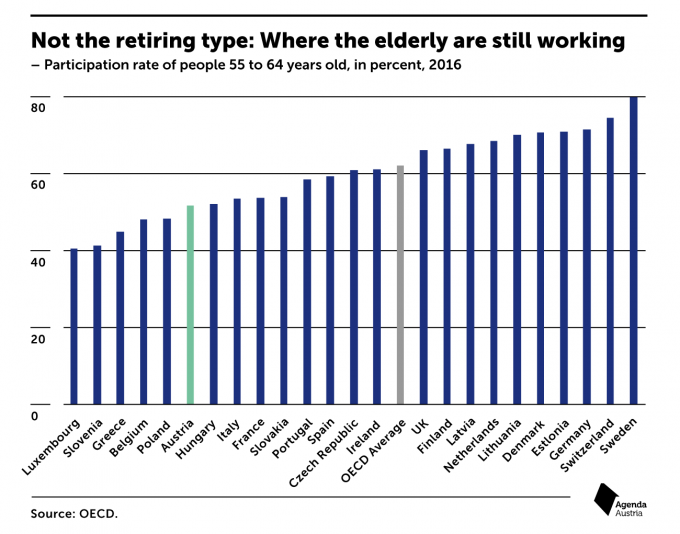 The participation rate of people 55 to 64 years old in Austria is lower than in most of the OECD countries. Only 51.7 percent of people aged 55 to 64 years in Austria are still working, compared to an average of 62.1 percent in all OECD countries.